Send SMS with BAM05 to 881. Since releasing their third studio album – Begum Gul Bakaoli Sarfarosh – in 2015, music group Noori has been flying high. Since releasing their third studio album – Begum Gul Bakaoli Sarfarosh – in 2015, music group Noori has been flying high. From picking up the prestigious Album of the Year trophy at the Lux Style Awards last year to appearing on Coke Studio as producers to collaborating with the likes of Ali Azmat in the inaugural edition of Cornetto Pop Rock and lending support to events such as Ponds Miracle Journey, they’ve been on a roll. 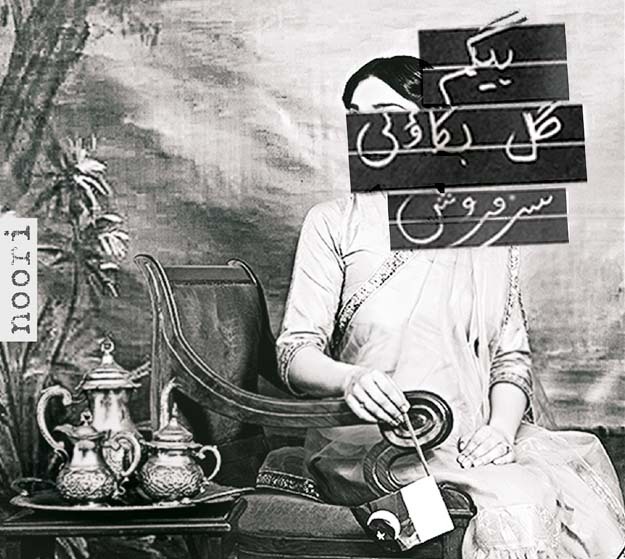 Last year also witnessed the solo outing of Ali Hamza with his introspective Sanwal project which culminated in a much-revered tour of Karachi that was produced by the good folks at Salt Arts. And 2017 is looking just as exciting for Noori fans, if not more. Having won hearts and minds by lending support to Karachi Down Syndrome Program’s inclusion campaign via the song ‘Aao Humaray Saath Chalo’ that is sung by Hamza and was released last month, the band was seen in Karachi this past week during which they played a colorful gig. 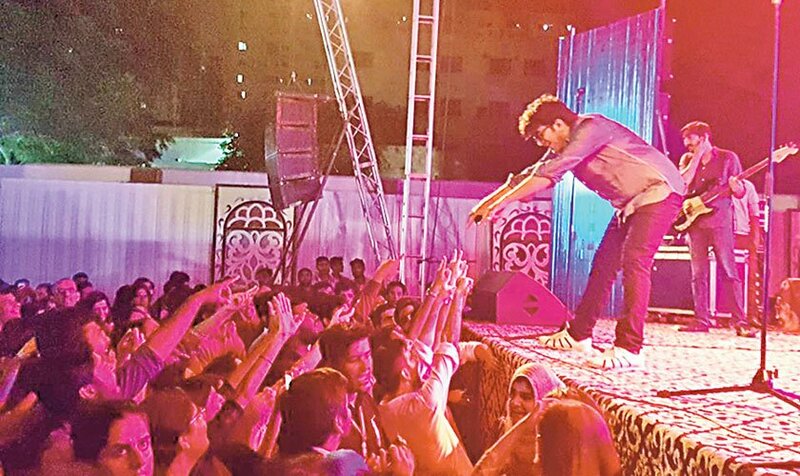 Playing at IBA University in Karachi, Noori sang a medley of some of their most revered songs including ‘Paar Channa De’, ‘Hey Ya’, ‘Saari Raat Jaga’, ‘O Re’, ‘Nishaan’, ‘Aik Tha Badshah’ and ‘Manwa Re’. 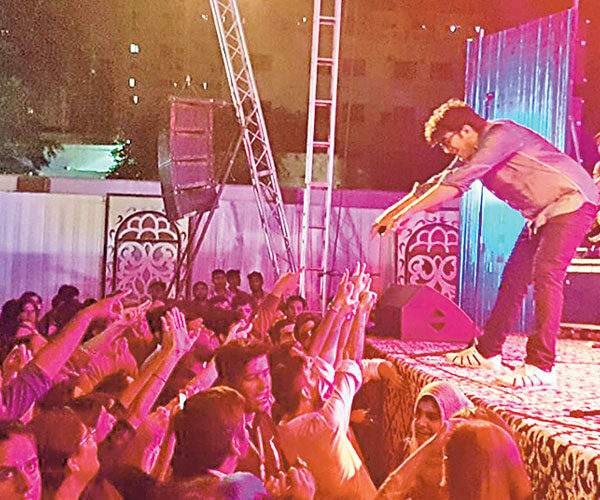 Backed by drummer Kami Paul and other musicians, Noori brothers were in their element as Hamza and Noori gave Karachi fans a chance to forget everything else and enjoy the merriment onstage. Given their electrifying performances, we can’t wait to see what Noori comes up with next. 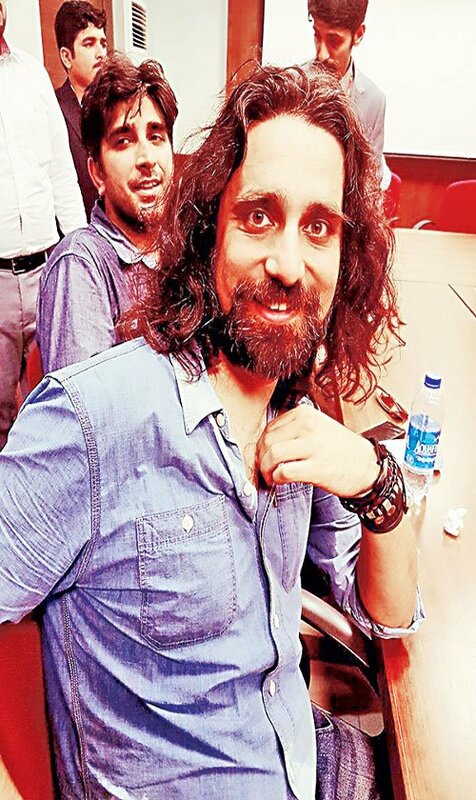 LAHORE: After a 10-year hiatus, Noori released the first single of their third album, Begum Gul Bakaoli Sarfarosh (BGBS), in June, making a commitment to revive the dormant music industry. They then moved between Karachi, Lahore and Islamabad to host exclusive album previews for fans, who invested into their music by getting Noori merchandise on the band’s website. The much-awaited BGBS was finally released at Fortress Square on Friday night amid live singing, excited fans and distribution of signed CDs. Interestingly, there were even numbered ‘selfie tickets’ for each person who bought a CD. “You’re choosing to be a part of the music industry when you invest in a CD. The onus of breathing new life into the industry lies as much on the listener as it does on the artist,” said Ali Noor. The intent behind the physical release of BGBS is to create a reference point for other musicians to continue creating music. “We don’t want to be affected by the fact that a corporate sponsor isn’t backing our content. We’re motivated to find ways of achieving results without sponsors,” said Ali Hamza. As for the album itself, Noori wanted it to be an aural experience, so other than amalgamating fan chants, they’ve included sound bites from radio and television archives to their record. The nine songs on the album comprise unreleased and leaked classics of the band, such as Mujhay Roko and 1947. Kami Paul, who has tracked the drums on BGBS, has been playing with the band for two years and played a key part in evolving the band’s sound. “Kami’s groovy style of playing has allowed us to explore a new style of music and this album is more bouncy and danceable,” noted Hamza. Hassan Omer has co-produced the album and Shiraz Uppal, a close friend of the band, has mixed and mastered it. The album comes with a unique cover and 46-page booklet, depicting artwork and different themes of the content. 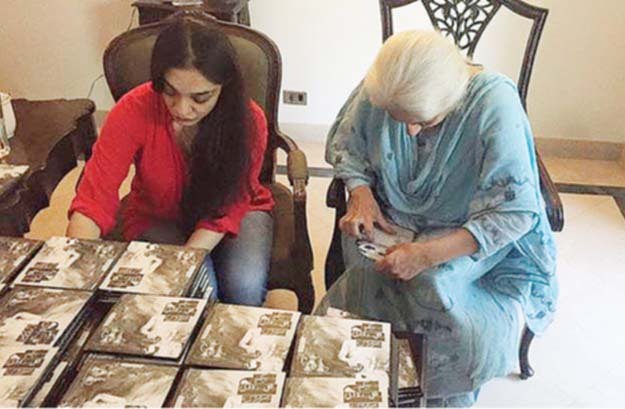 The album, copies of which the band painstakingly burned themselves, is worth Rs500 and will not be available in stores. Fans will only be able to purchase the CDs during the band’s three-day tour, starting from Lahore and ending in Islamabad, or stream it on Patari in Pakistan and on iTunes outside Pakistan. Published in The Express Tribune, October 11th, 2015. KARACHI: After wrapping up their fourth studio album, Viva la Vida, Coldplay took close to four years to release their next record. Wanting their next album to be “more intimate” than the preceding ones, the band re-evaluated their style of music, and the result was Mylo Xyloto — a concept album about how a fictional city is taken over by a supremacist government and the rebellion that follows. Noori seems to have followed a similar trail, as they’re back as a more evolved band after a 10-year break. Currently on a tour promoting Begum Gul Bakauli Sarfarosh (BGBS), the two-member band recently held a preview of their next album for a limited audience. Kicking off their mini-concert with the song Pinjra, lead singer-songwriter Ali Noor talked about the genesis of the track. Describing the song as ‘anti-Sufi’, he explained that it traverses the reality of how we’re all caged by society. “This song is a question about whether it’s right or wrong to be driven by our fear of dogma, and if we should live in this perpetual fear,” explained Noor. With most tracks on the album dating back to nearly 15 to 20 years, Noor and Hamza shared how their third album is a sincere attempt to reach out to their loyal fan base. In contrast to the music featured on their debut album Suno Ke Main Hon Jawan, which was carefree and pop-oriented, their latest release seems to have a brooding soundtrack, especially with songs such as Aik Tha Badshah and Pinjra. But the band clarified that even if their previous songs, such as Gana No 1, sounded like peppy numbers, they have a deeper meaning behind them. “Everybody thinks it [Gana No 1] was a fun song that people dance to. But if you listen to its lyrics, you’d realise how dark the song actually is,” said Hamza. Describing it as the “most depressing song” he has ever inscribed, Noor shared that it was inspired by a ‘vela’ guy that the brothers knew. “Not only would he waste his time but ours as well. And when I questioned him about his attitude once, he started crying and said that he considered himself to be completely incompetent,” stated Noor. Despite the serious nature of the album, the band has managed to slip in two signature Noori sing-along anthems titled Hey Ya and 1947. Both tracks encapsulate BGBS’ central theme of rebirth, revolving around a woman who crosses the border on the eve of 1947 and is devastated after losing everything and everyone during her journey. When she arrives on this side of the border, she hears the announcement of the creation of Pakistan on the radio and feels her pain fade away, foreshadowing a new beginning in her life. BGBS is expected to release on September 30. Published in The Express Tribune, September 22nd, 2015.